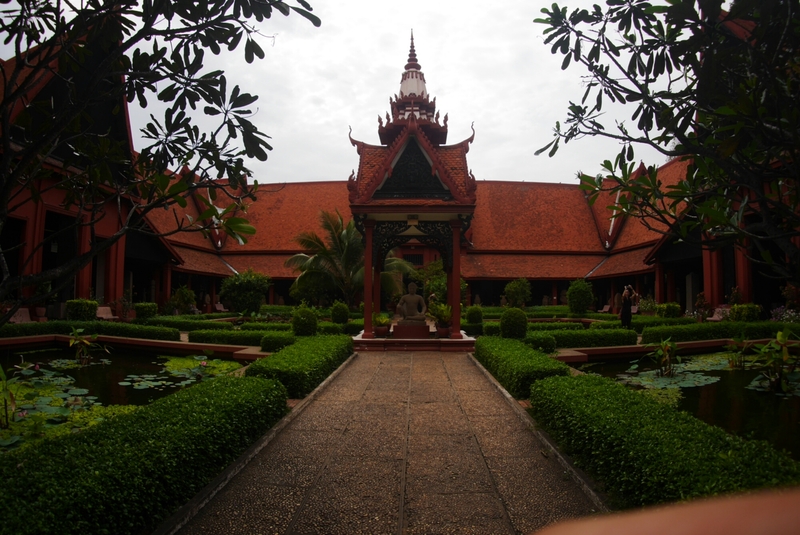 After the harrowing journey here it has felt really good to not have to travel for a few days, just stay in one hotel. 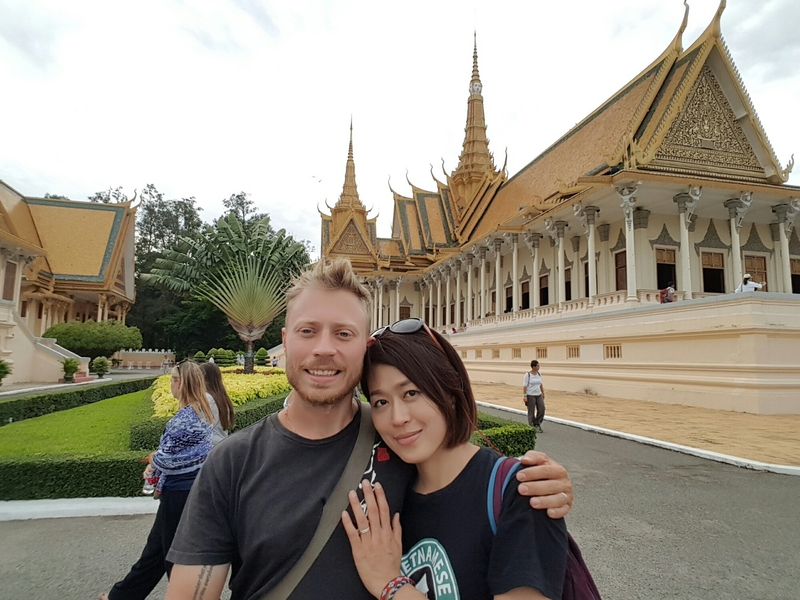 I came down with a case of traveler’s diarrhea so I’ve been cooped up in the hotel for a day but other than that we’ve been out exploring the city. 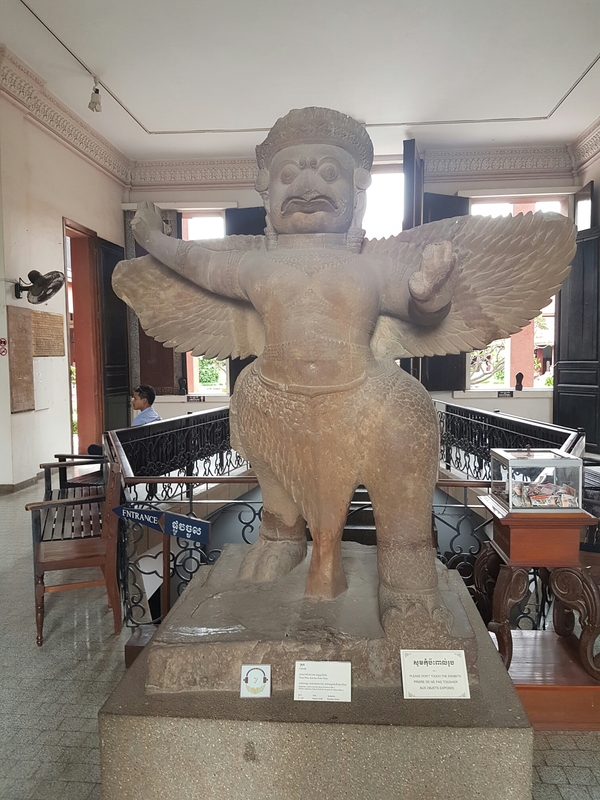 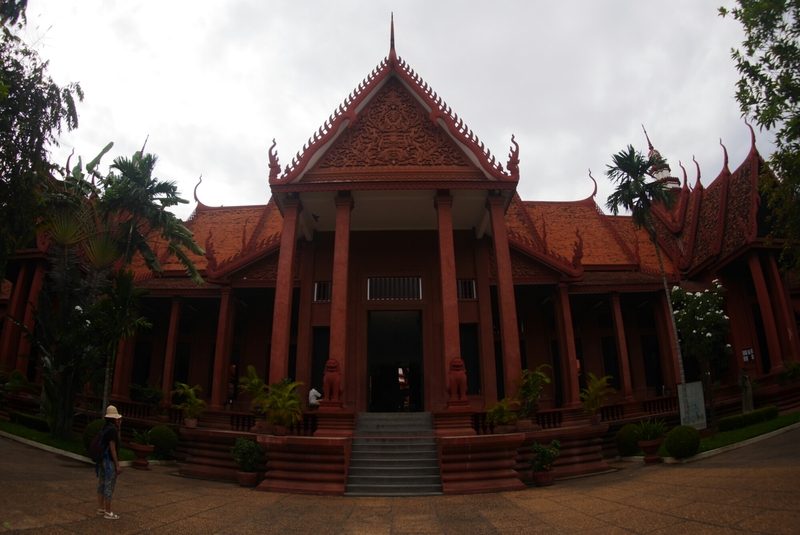 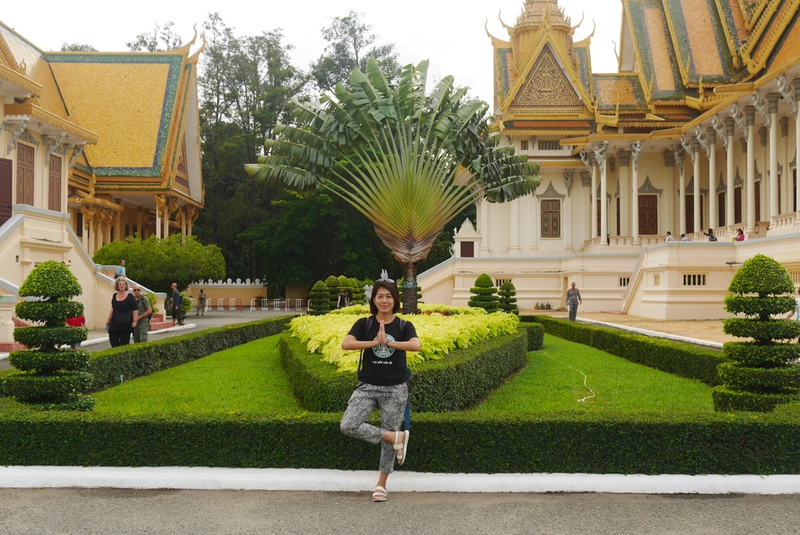 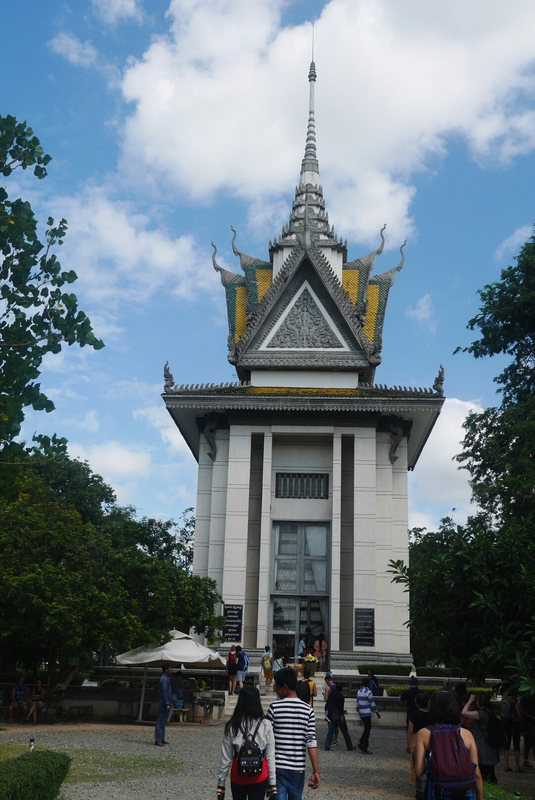 Right around the corner from our hotel is the National Museum of Cambodia. 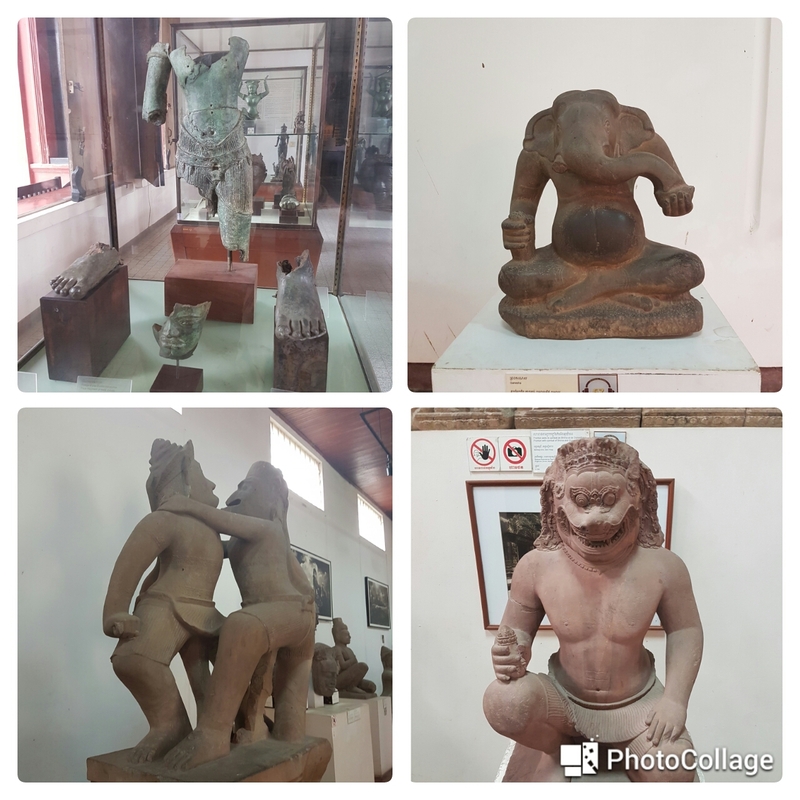 It houses quite a collection of ancient statues from all around the country. 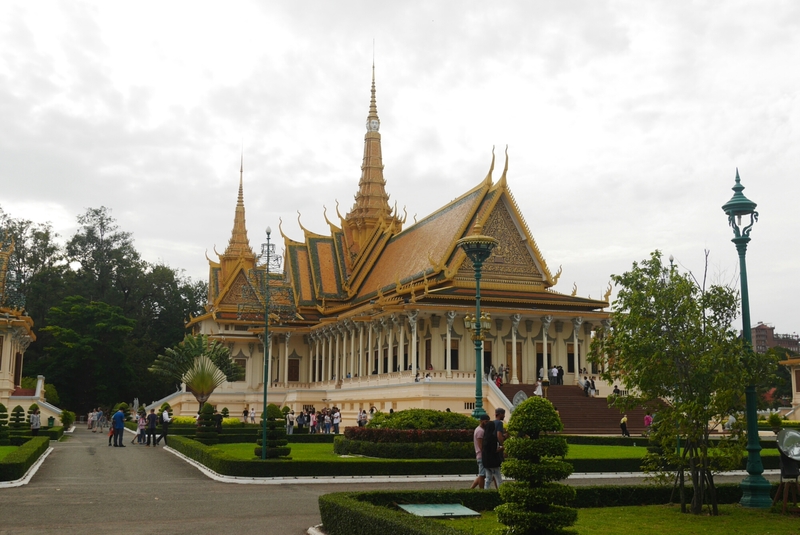 The building itself is pretty nice too. 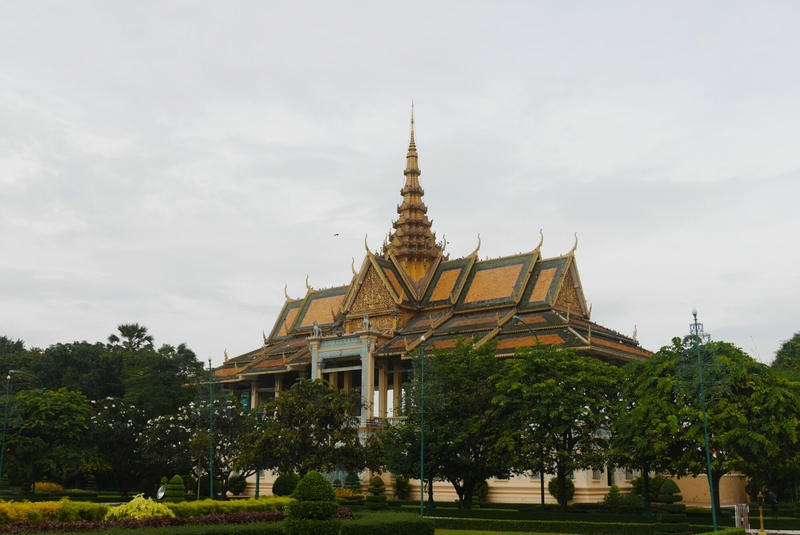 Close to the museum is the Royal Palace. 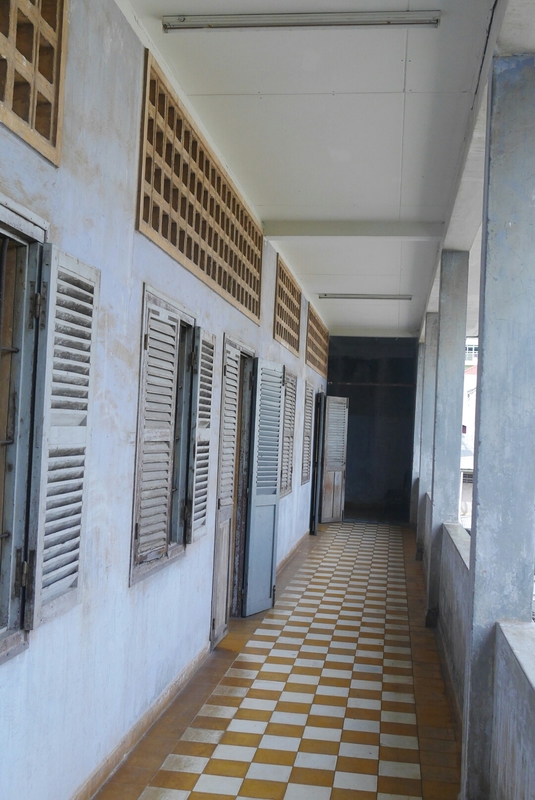 The place is still in use so tourists can only visit a small part of it. 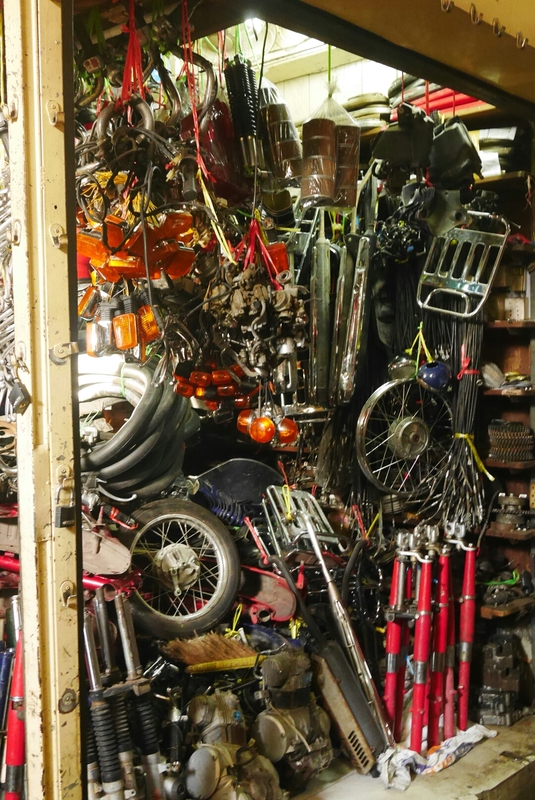 The parts that you can see however are very impressive. 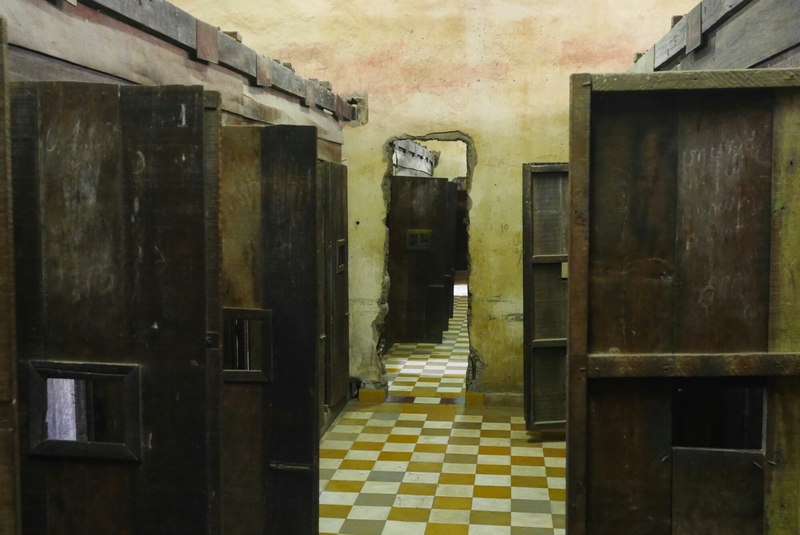 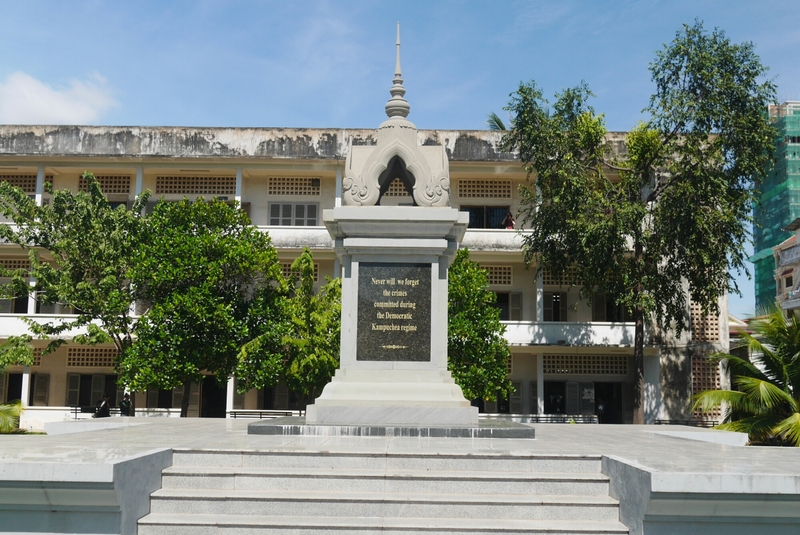 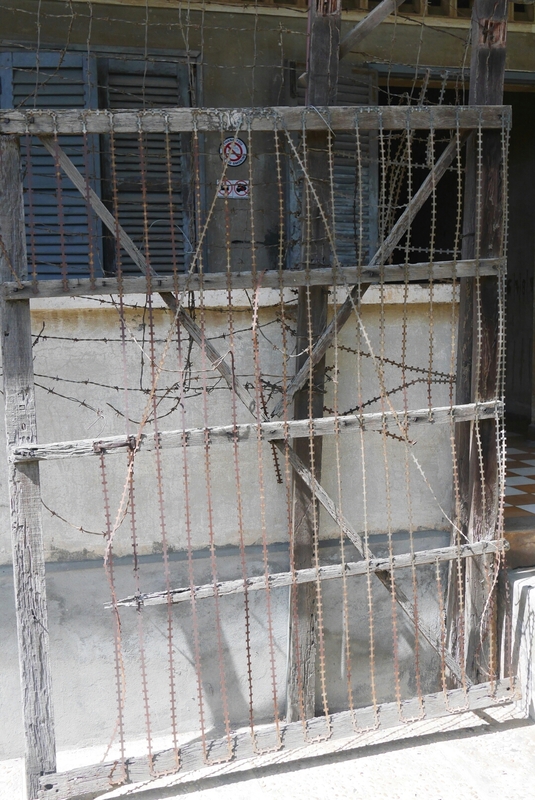 Something which is perhaps not so fun to see but very important all the same is the Tuol Sleng prison museum. 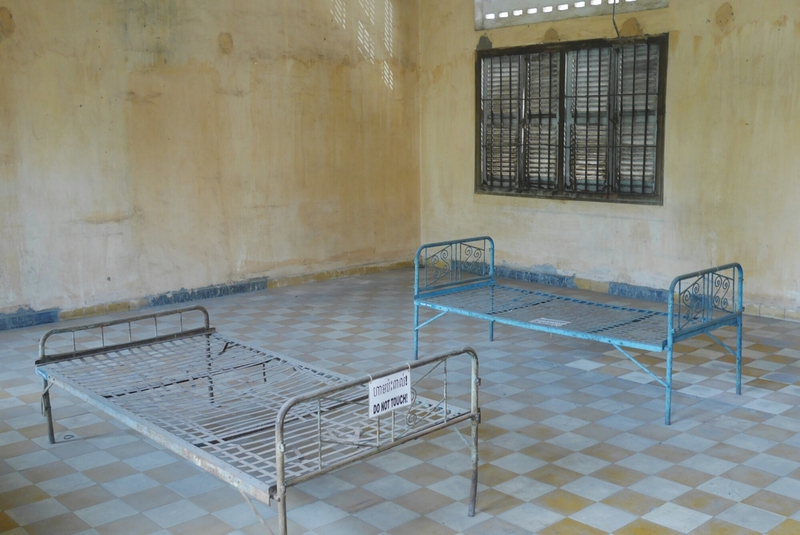 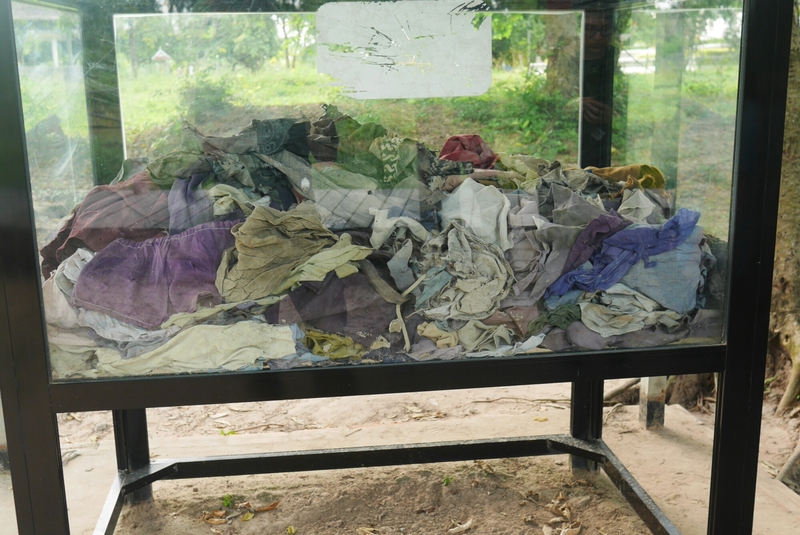 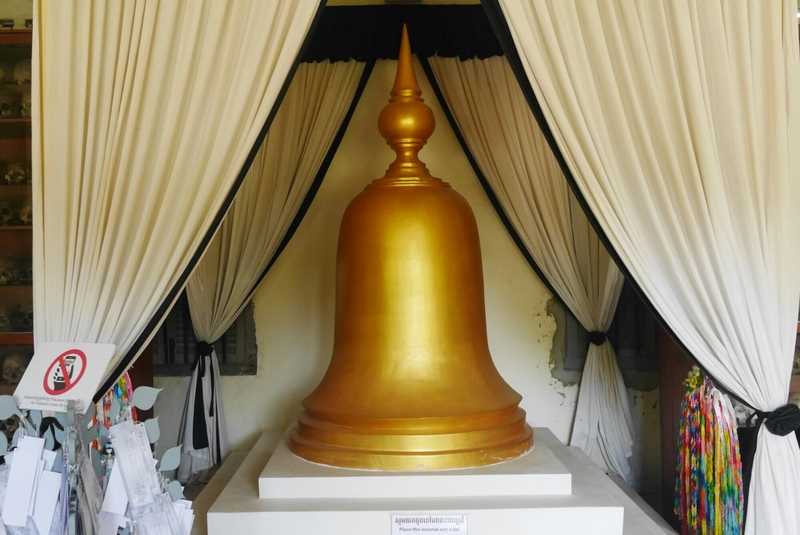 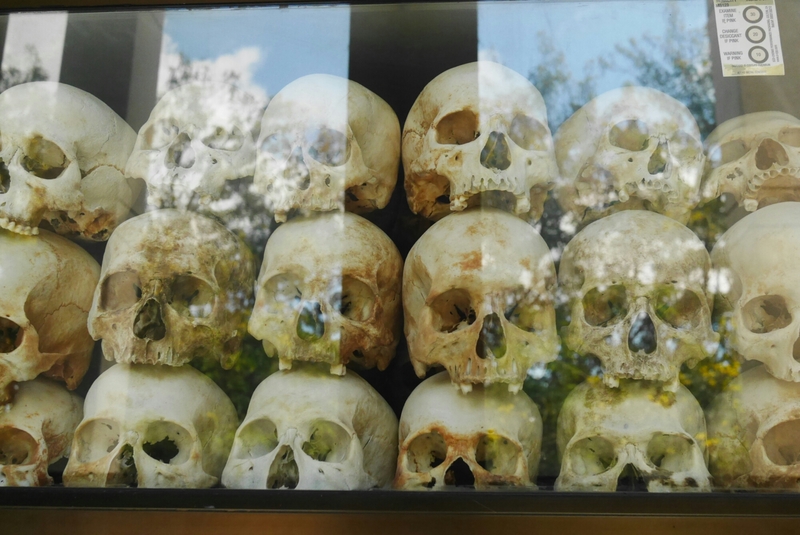 During the Khmer rouge days, around 20000 people where imprisoned here, most of them only to be tortured until they gave a false confession of “crimes against the state” then executed. 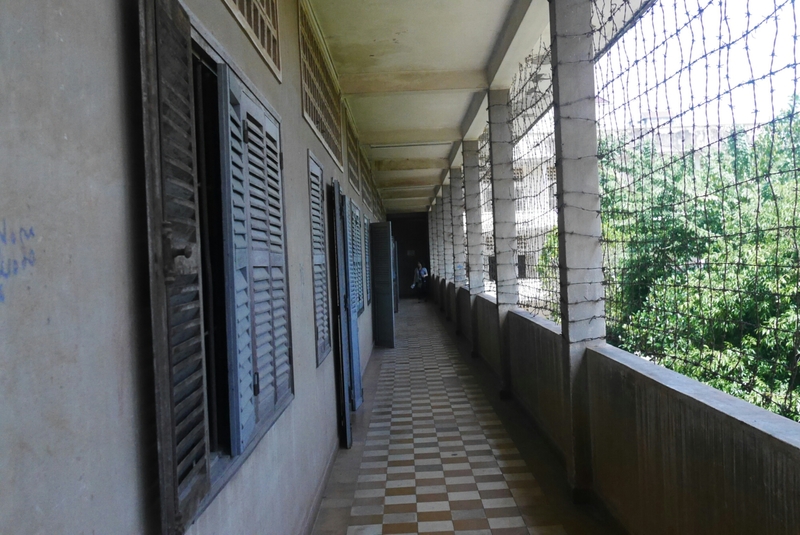 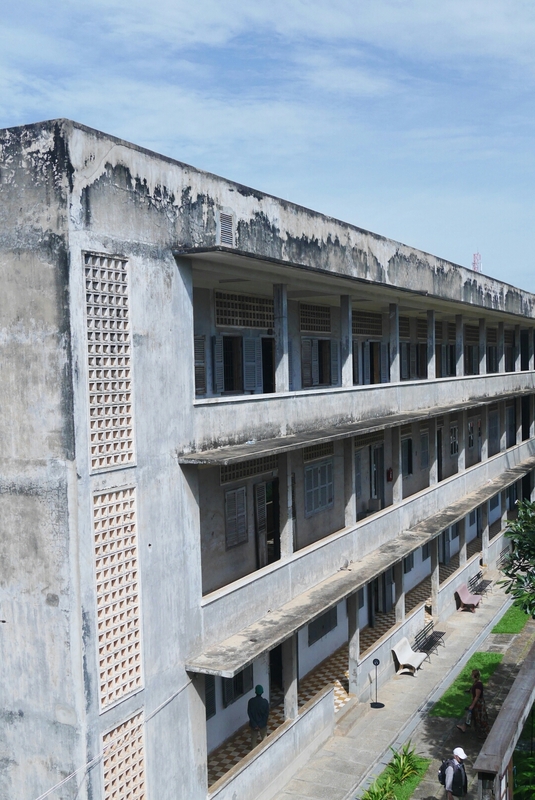 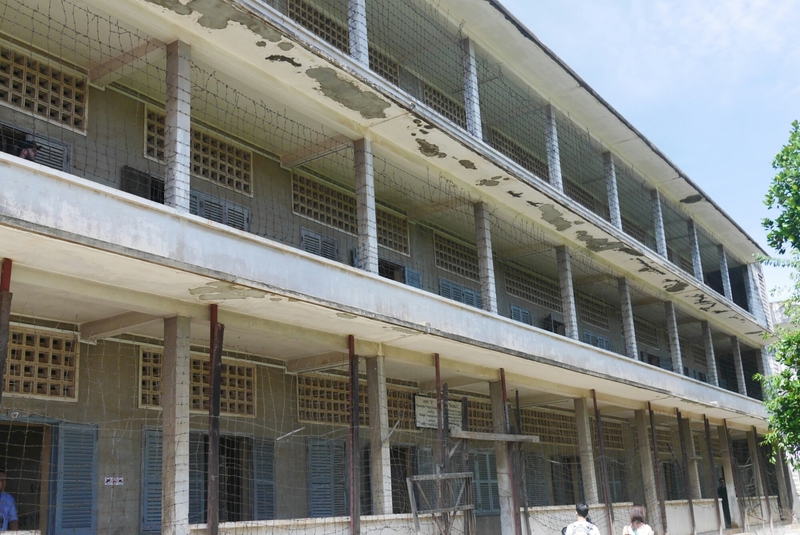 The building itself had been a school before the Khmer rouge took over but it’s a pretty grim looking place with barbed wire nets across the windows and cells installed in the old classrooms. 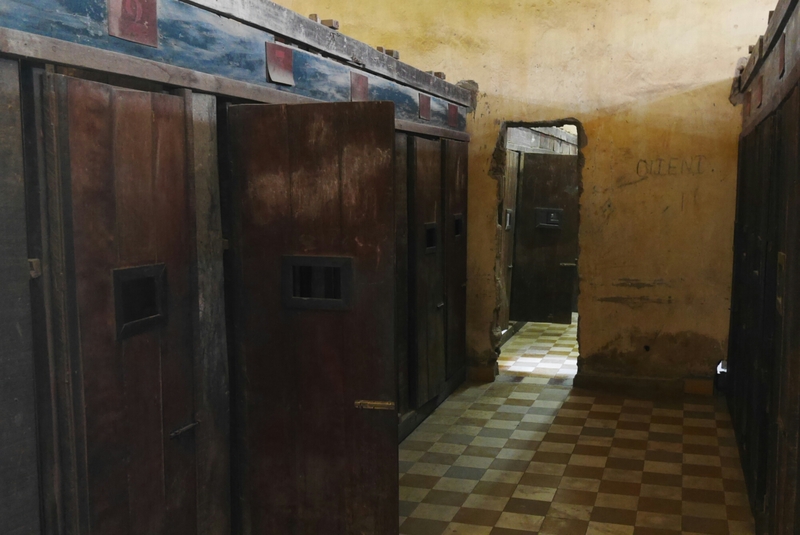 In the rooms they have lots of photos on display showing the faces of hundreds of prisoners, meticulously documented by Pol Pot’ s murder machinery. 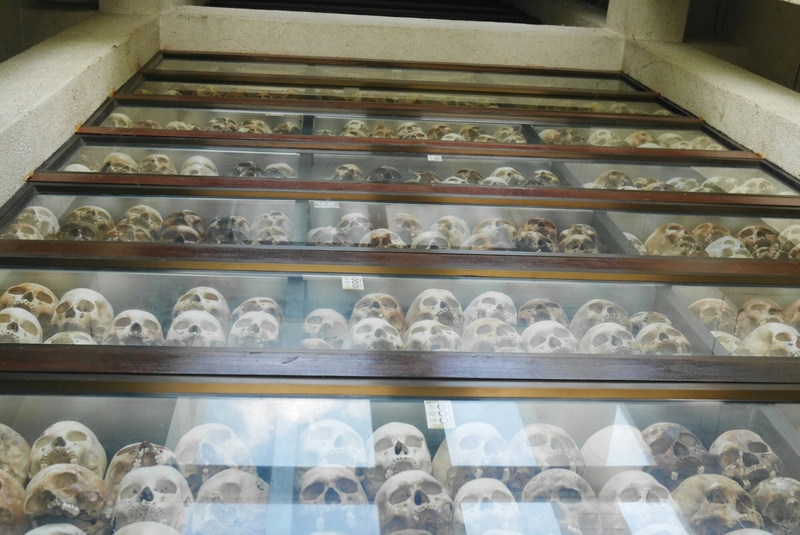 You come away from the museum with a pretty heavy heart. 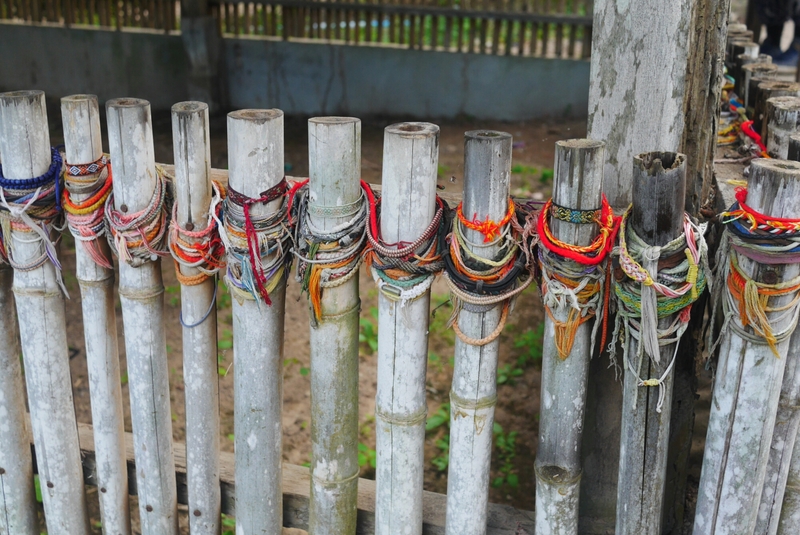 A few of the mass graves have been marked with fences. 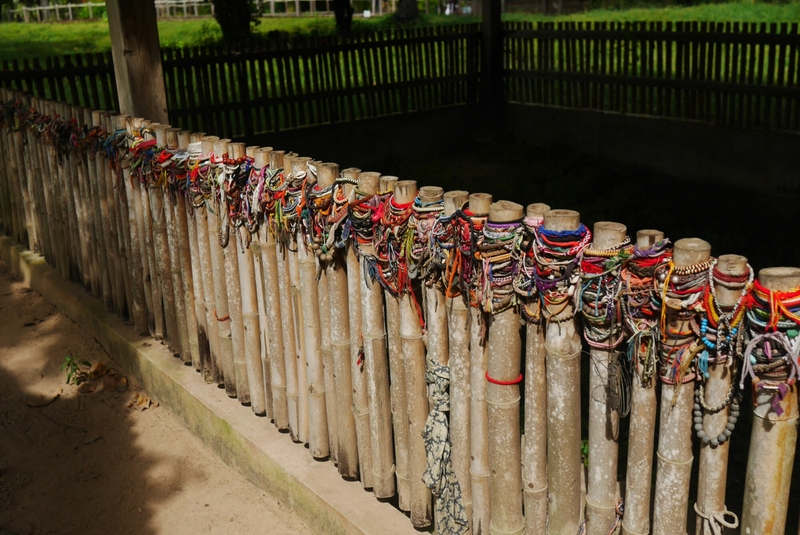 People out little bracelets there to show their sorrow. 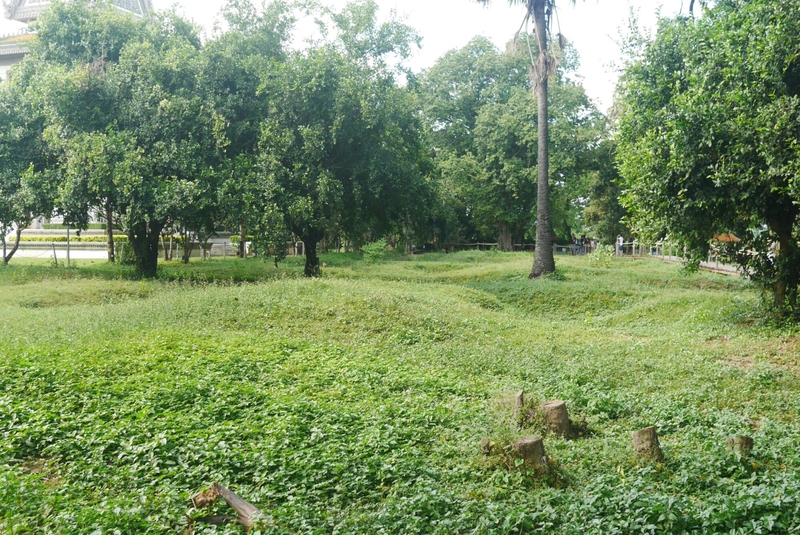 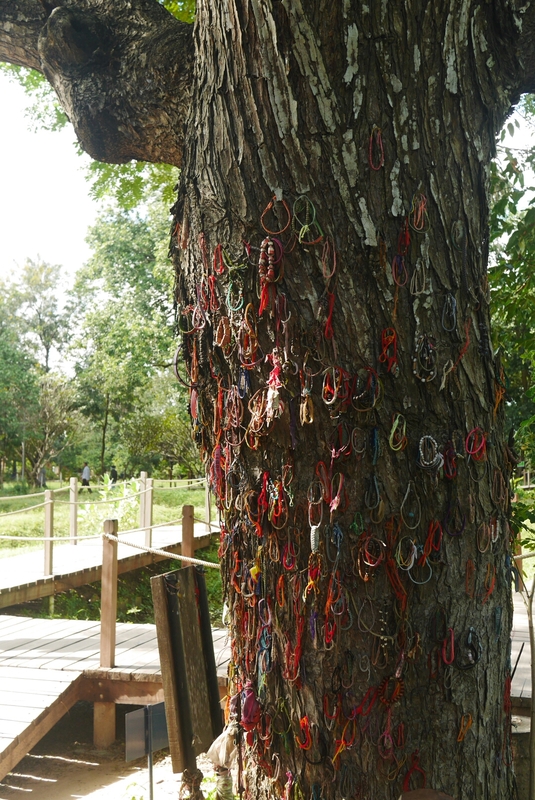 The killing tree, Khmer rouge soldiers used to smash babie’s heads against it to kill them. 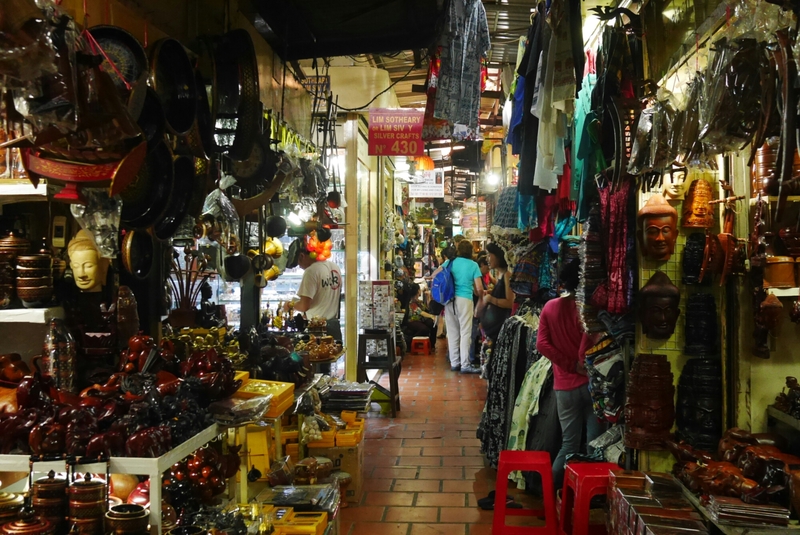 There are several markets in the city, and the one called the Russian market had the most interesting name so after the prison museum and the killing fields we went there. 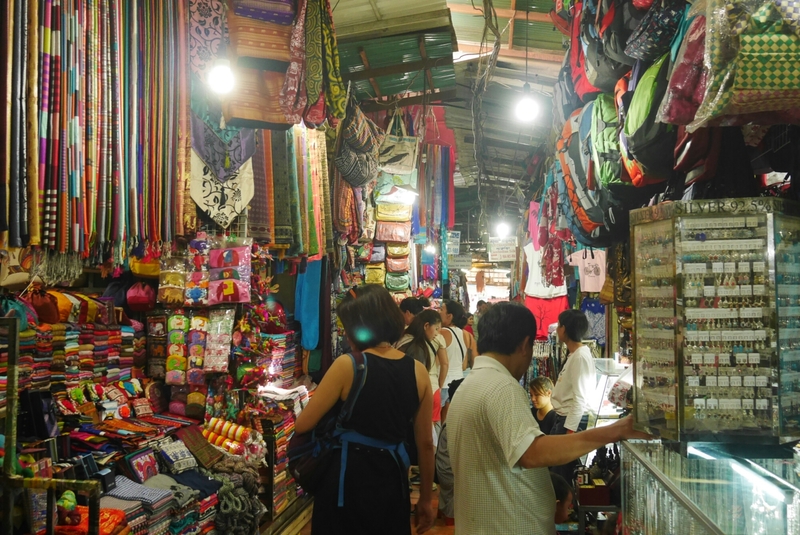 I think they had an interesting selection of things for sale, everything from cheap clothes and souvenirs aimed at tourists to cloth and tools for the locals. 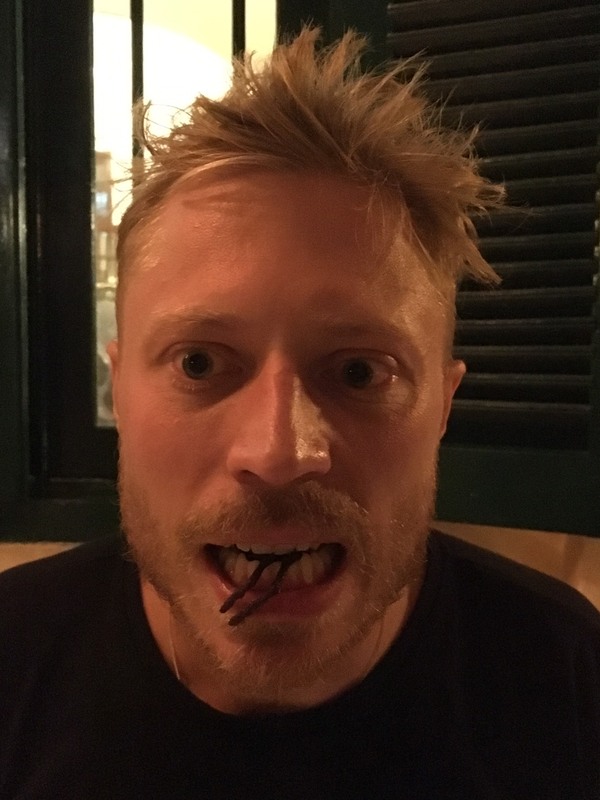 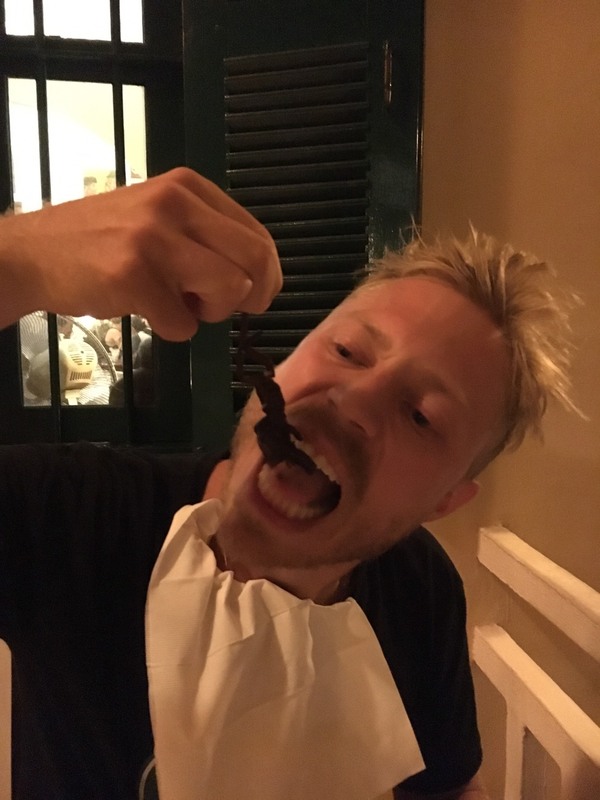 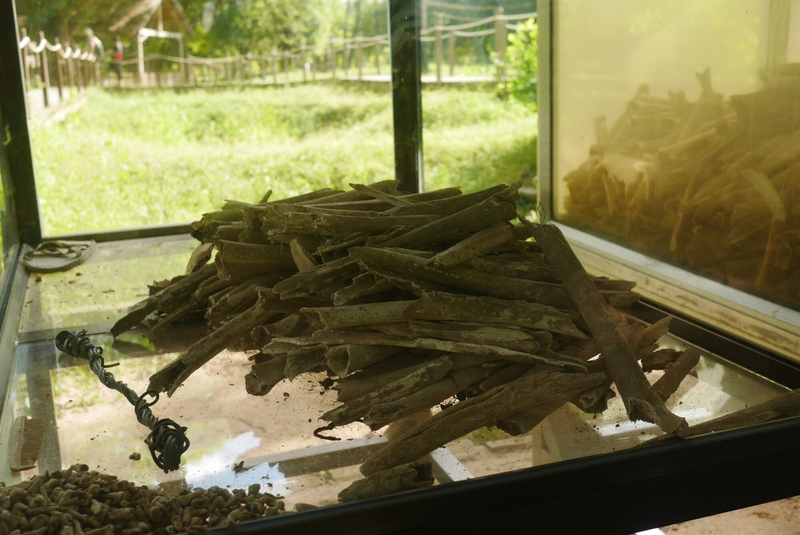 We had heard that one of the things to try in Cambodia is eating bugs. 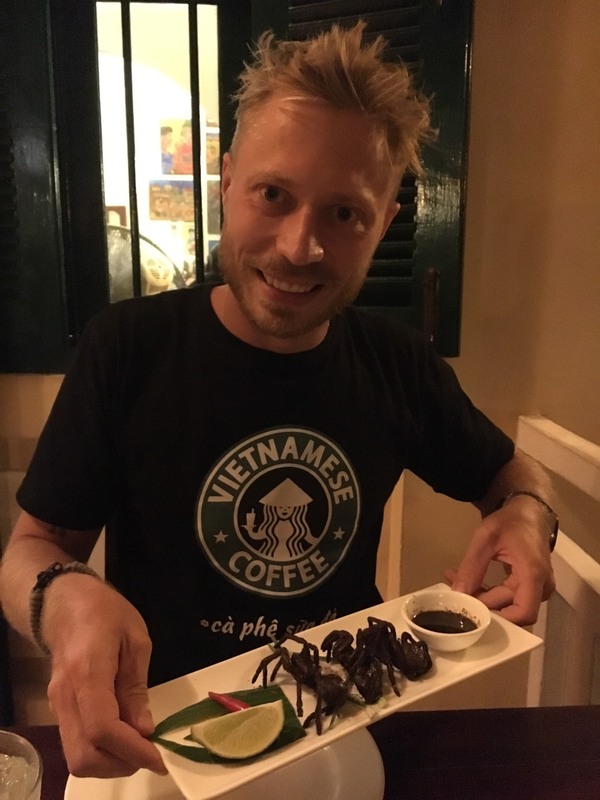 Yini found a restaurant in Phnom Penh that was supposed to be good, so on our last evening in the city we went there to try. 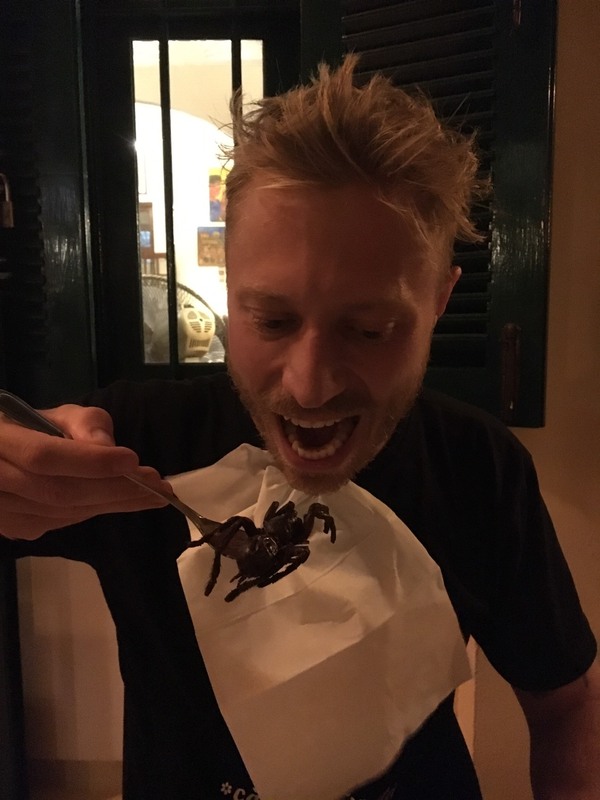 Deep fried tarantula sounds and looks scary but it’s crispy and tastes pretty nice. 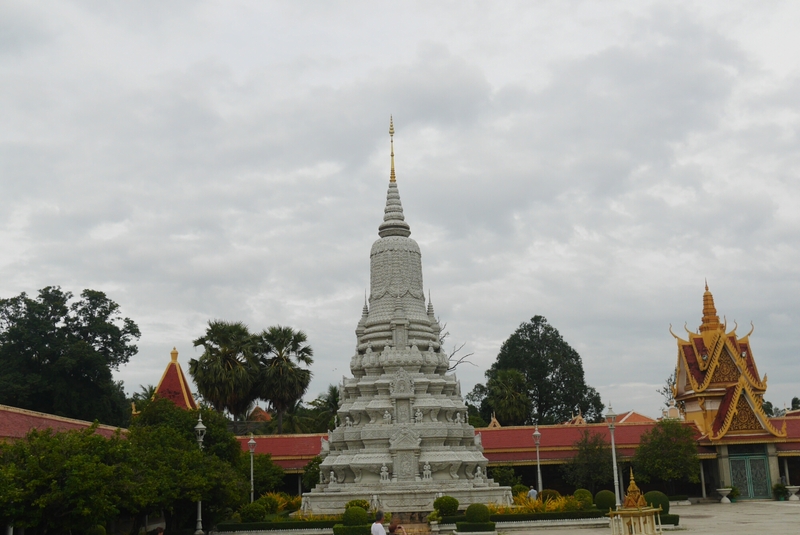 Previous PostThe big Indochina trip: seven buses and a taxi.